The placeholders for personalization only work if the respective recipient data has been entered / imported. Check the content of the fields for completeness. Please make sure you use the correct spelling for the variables when you insert them into your emails. 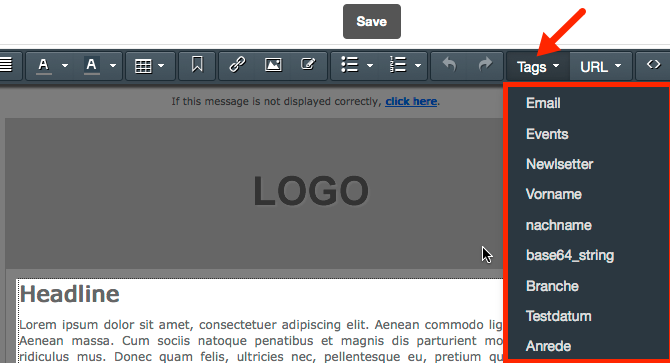 It is easiest to insert personalization into your emails directly from the menu item [Tags] in the mailing editor. If you want to send an email to multiple groups at the same time you need to make sure that you use intergroup fields within the recipient group. Read more about this here.